If you're in the mood for some berry-loving (those black blocky things with a keyboard), then you're in for some luck--RIM launched its 8700 series at a local press launch today. The RIM/NTP hearing in the US has probably been talked to death. But if you're still keen to hear about it, you can rest assured that the three million BlackBerry users in North America won't lose their service--at least for now. In the media question-and-answer session, Norm Lo, vice president for Research In Motion (RIM) in the Asia-Pacific region, mentioned that there are no risks for BlackBerry users outside of North America even as the litigation continues. According to RIM, 23 percent of BlackBerry subscribers are outside North America. Moving on, the Canadian-based company plans to continue its global expansion with new carriers and to focus on more partnerships. 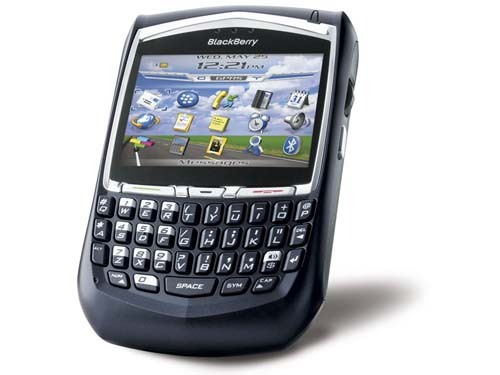 Users can also expect more new BlackBerry handhelds to be rolled out over the year. 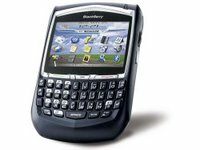 Two new berries were launched today--the 8700g and the 8700v--both featuring a full QWERTY keyboard with dedicated Send, End, Convenience, Power and Mute keys; Intel's XScale processor with 64MB of flash memory and 16MB SRAM; and a light-sensing technology that automatically adjusts screen and keyboard brightness in various environments. In fact, according to RIM, the 8700g and the 8700v are identical except for one single cosmetic difference: The 8700g is in black and the 8700v is in silver--so much for naming conventions. The 8700g will be available from StarHub at US$490.20 with a two-year mobile voice plan. SingTel is offering the same unit at S$798 (US$490.20) with a two-year voice plan (minimum iOne Value & above plan) and a 12-month BlackBerry Internet Service subscription. MobileOne (M1), on the other hand, will carry the 8700v at US$367.34 with any BlackBerry pricing plan.